The Sennheiser brand is well-known for producing high-quality headphones. Every pair of Sennheiser headphones is manufactured to exacting standards so you get unparalleled sound quality with crisp high ends and warm bass tones, whichever pair you choose. When you’re out and about, it’s good to be able to take your music with you, whether you’re taking a train journey through the countryside or you’re making your way through the city, every journey is improved when you add your own personal soundtrack. Sennheiser headphones recreate sound the way it was meant to be heard no matter where you are. And if you’re looking for high quality audio that’s affordable, there are plenty of cheap Sennheiser headphones available. 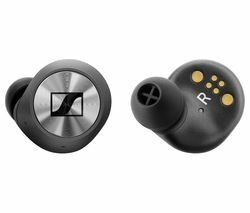 Sennheiser headphones come in a range of styles including in-ear and on-ear versions. They also have headphones that are compatible with your iPhone so you can make and receive calls without having to take them off. The Sennheiser Urbanite XL ‘s are comfortable, on-ear headphones that deliver clear high-quality sound and powerful bass frequencies. They are compatible with iPhones and feature stylish stainless steel hinges. 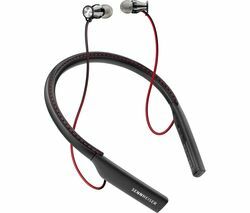 If you want durable, stylish headphones that sound incredible no matter what music you listen to, Sennheiser have a pair that are ideal for you.